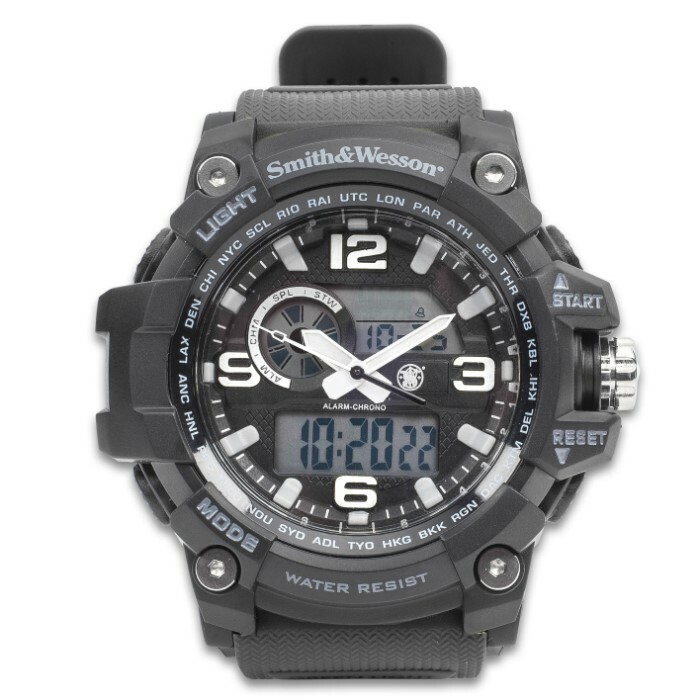 Smith & Wesson Combat Chrono 5.56 Watch - Tough TPR Band, Automatic Calendar, EL Backlight, Dual Time | BUDK.com - Knives & Swords At The Lowest Prices! 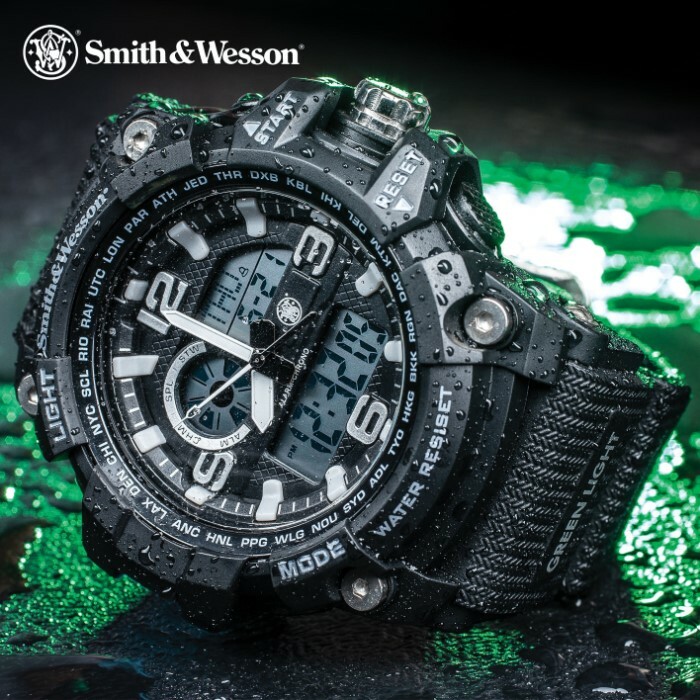 The Smith & Wesson Combat Chrono 5.56 Watch is a great every day, dual time wristwatch that can take the abuse you dish out in your daily adventures. When you are looking for reliability, Smith & Wesson always has you covered. Offering you extreme versatility, this watch features a normal time mode, chronograph mode and alarm mode. The LCD display shows hour, minutes, seconds, month, day and week and features an EL backlight. The watch gives you a daily alarm and hourly chime option, a countdown timer and has an automatic calendar from 2000 to 2099. The 1/100 chronograph has split count. The heavy duty black TPR band is both comfortable and sturdy.